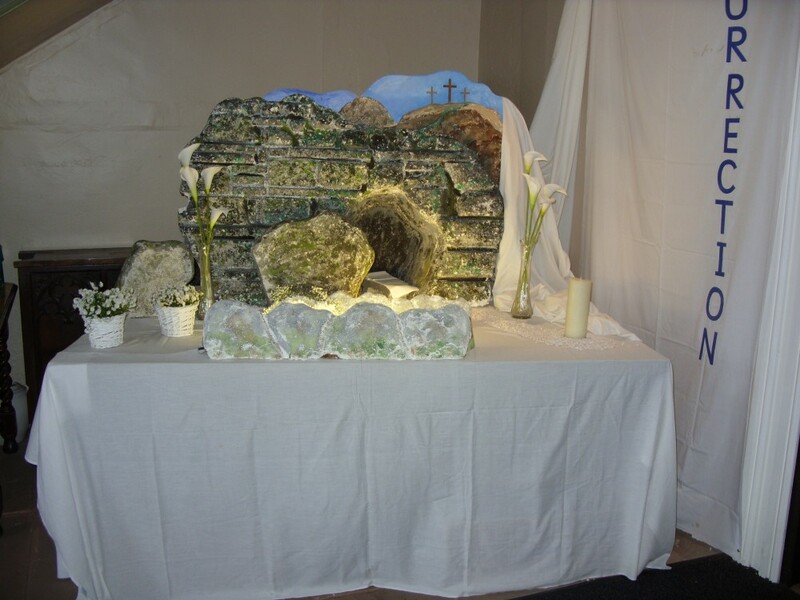 In Spring 2016 we held 'Experience Easter' for our 3 Schools (St James' Junior, St James' Infants and Bransty Primary) which was also open in the evenings for all to view. 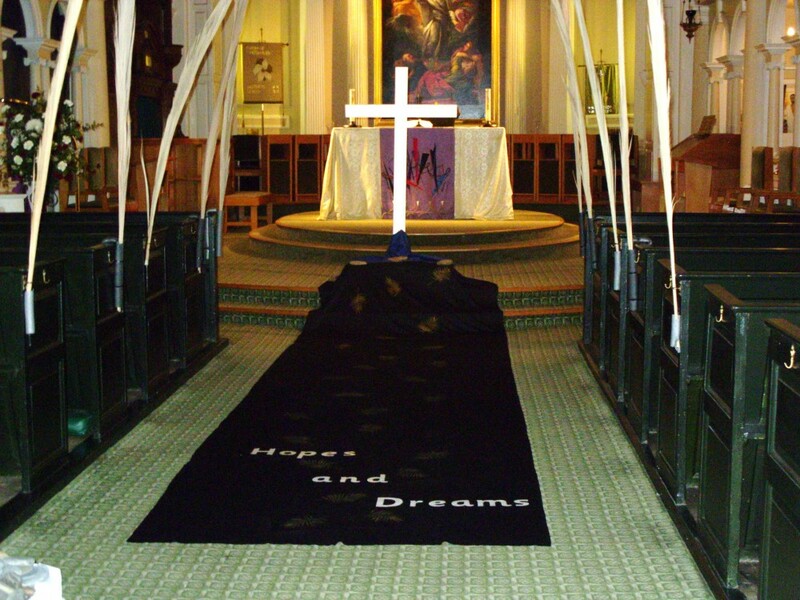 In the middle of March we had three days when all three schools-St James' Junior and Infant and Bransty came into church to experience visually the Easter story. 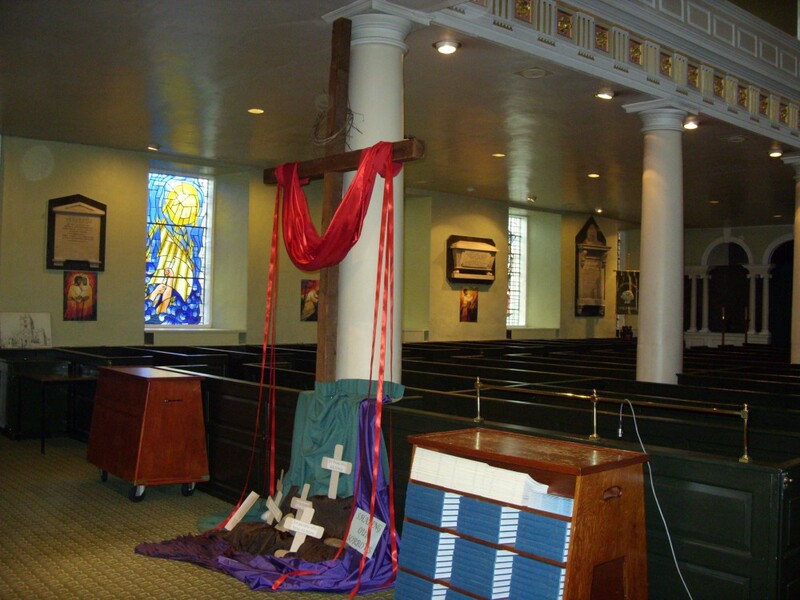 The church was decorated with six stations starting with Palm Sunday. The children heard about Jesus' entry into Jerusalem and were encouraged to share their hopes and dreams or write them on a stone. They then walked down the Palm Sunday road and placed them at the foot of the cross. 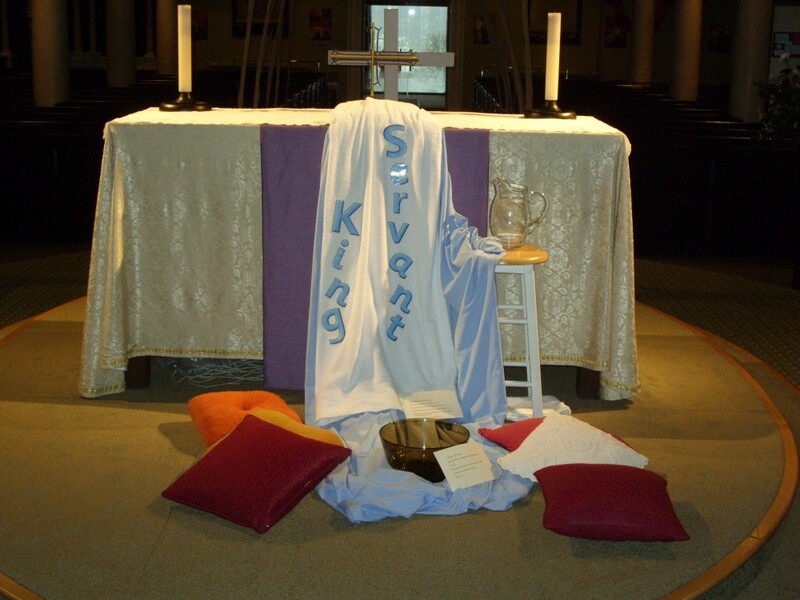 The next station was the foot washing where they encountered the servant King. they didn't have their feet washed but dipped a finger into the water. 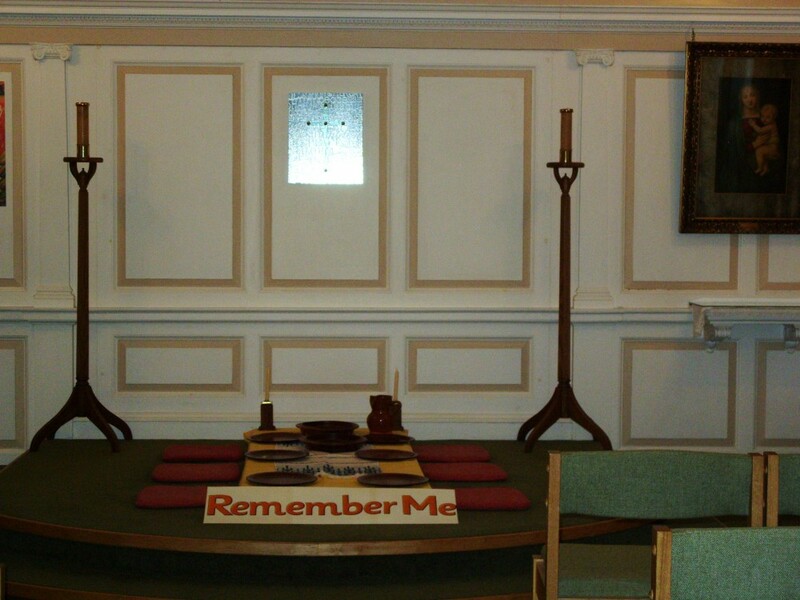 At the last supper they experienced sitting at a table and sharing bread together to help them understand this last meal with Jesus and his disciples was an act of remembrance. 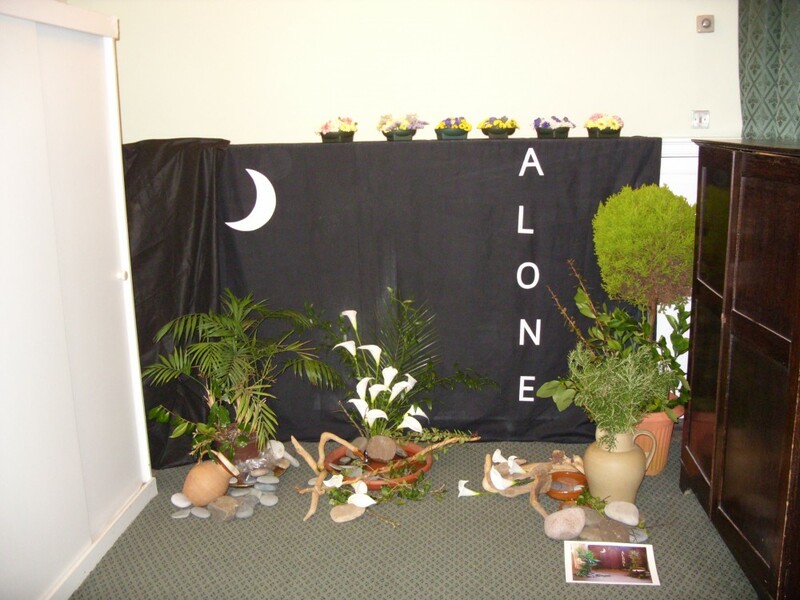 In the garden they thought about what it felt like for Jesus to be alone to help them. The Good Friday station gave them an opportunity to say prayers if they wanted to, for all those who were suffering, migrants, the hungry, the homeless and so on. It was explained that Jesus on the cross was a sad time but it was a time of hope and they encountered that in the last station the resurrection... the empty tomb. There were lots of hapy faces as they left. They all had a drink and a biscuit and most importantly an Easter egg. Over the three days we had about 283 children come through the doors of the church. Thanks to Whitehaven Garden Centre on Mirehouse for the generous loan of the beautiful plants, which enhanced the stations so well. Also thanks to all those children who came (and their teachers). Thanky you boys and girls for the way you took part listening carefully and joining in-you are a credit to your schools.